Keeping your residential windows clean is a simple task that makes a huge difference in the curb appeal of your home. Whether you’re a seasoned window washer or a green cleaner, here’s what you need to know about clean windows and how to get them. 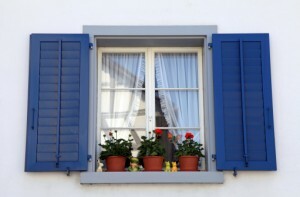 Stubborn stains are all-too-common on exterior residential windows, and they are a great place to start. Spray the affected area with vinegar and allow it to sit for 5-10 minutes. Next, use a sponge or cloth to get rid of the stain. If that doesn’t do the trick, use a mineral-deposit removing cleaner like CLR. Dampen a sponge and rub it on the stains. Afterwards, rinse the area with water and continue the cleaning process. Clean windows are ones that are free of decals and stickers, so start by removing them. If they are really stuck on there, spray them with water and let them sit. Next, use a plastic scraper to gently remove them from the surface. Next, take off the screens from your windows and clean them. Use a hose to spray the screen. Wipe them down with a mixture of warm water and dish soap before letting them dry and placing them back. Exterior residential windows get dirty quickly, regardless of what you are doing to keep them clean. Use your garden hose to wet the windows and loosen the top layer of dirt and dust. Use a detail attachment for your handheld vacuum to gently remove dust and debris from your interior windows. Get the windows, frames, and the corners of each. If you skip the vacuuming step, you risk spreading more dirt around during the cleaning process. Next, gather your window cleaning supplies: a sponge, rubber squeegee, microfiber cloth, clean cloth, bucket with window cleaning solution, and towel to protect your floors. Now it’s time to clean! Dip your sponge into the cleaner, removing excess water, and wipe down the window. Dry each window as you go before moving onto the next to avoid streaking. Inside of your home, it can be difficult to keep the area around your windows dry. Use an absorbent towel to mop up any extra water before calling it quits. This entry was posted on Friday, July 14th, 2017	at 12:45 pm	and is filed under Blog, Maryland Window Tinting	. You can follow any responses to this entry through the RSS 2.0	feed. Responses are currently closed, but you can trackback from your own site.